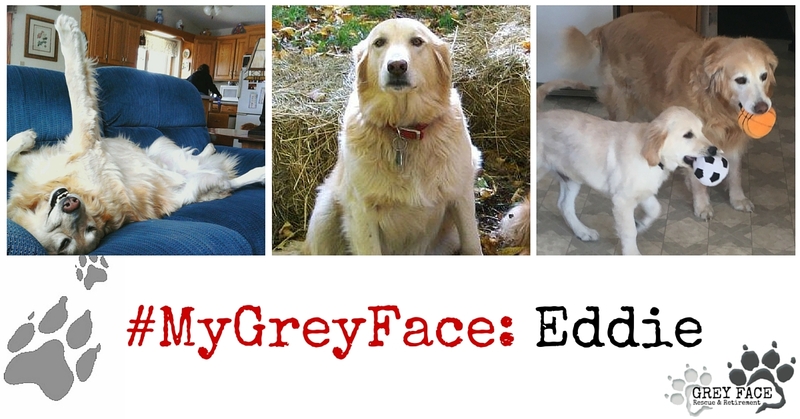 This post originally appeared as a guest post on the Grey Face Rescue blog. 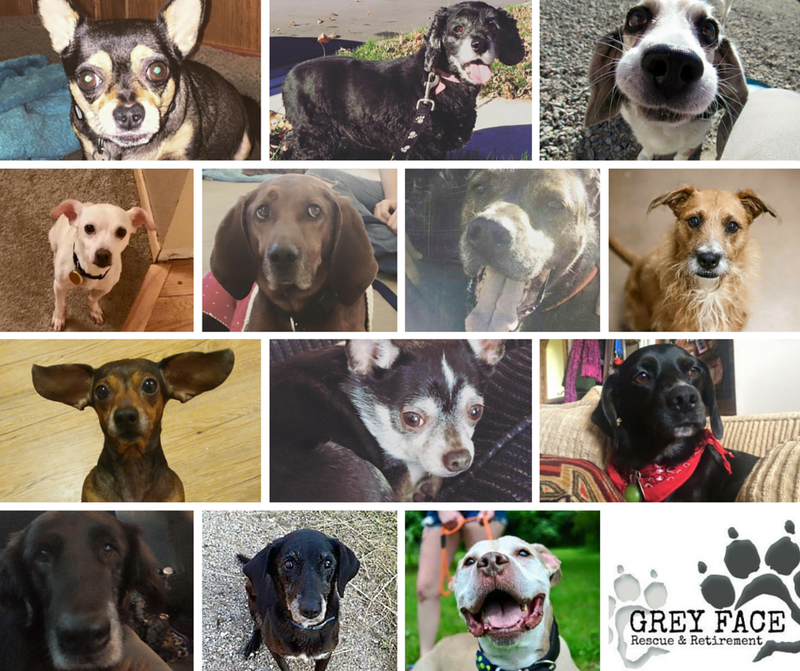 Read more at http://www.greyfacerescue.org. 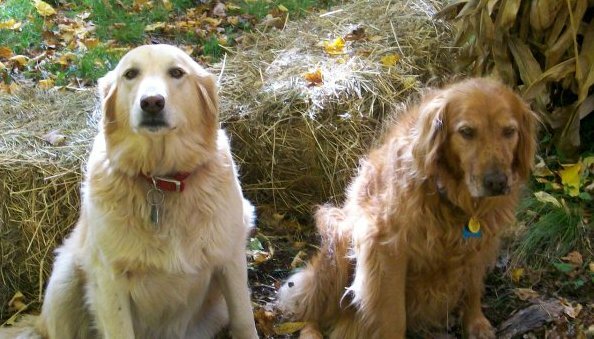 When I was 11 years old, my two family Golden Retrievers ran away. My family has always been hugely into dogs. My mom and I are the types of people who will see a random dog in public and squeal with joy, asking wary owners if we can pet their dog. 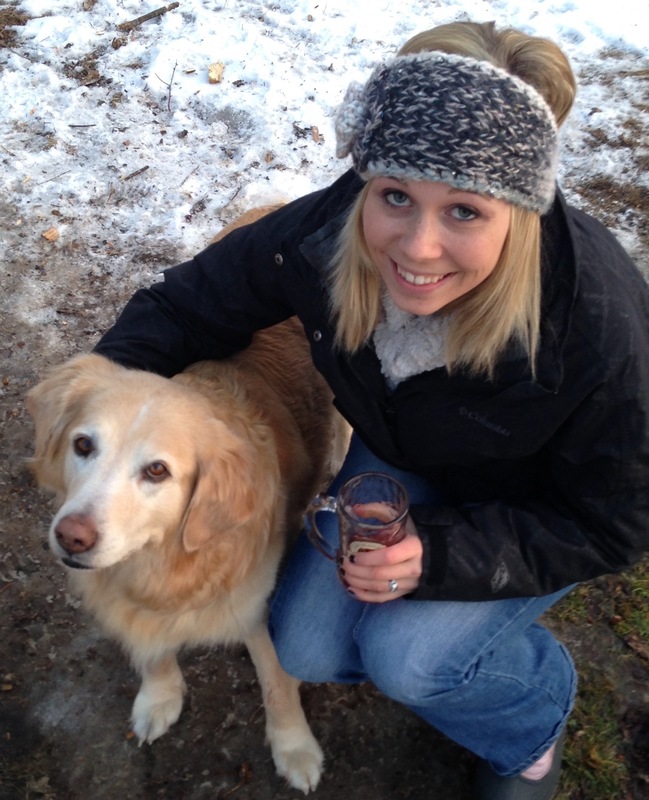 So when our two beautiful family dogs, Simba and Shiloh, disappeared, it was devastating to our family. The dogs were my mom’s father’s dogs originally, and he had passed away less than a year before and left them in our care. They were not only beloved family pets, but a strong connection to my Grandpa “Papa Dad”. Family and friends spent months hanging posters, making calls, and pleading with the powers that be that they were returned to us. Every lead turned up empty. We wouldn’t let that dissuade us from being crazy dog people, though. About six months after their disappearance we adopted Molly, a shy, beautiful Golden from the Tri-County Humane Society. And about three months after that, we got a call. A farmer down the road had been graced with the presence of an adorable yellow ball of fur in the form of a stray 6 month old puppy. After asking several other neighbors if they knew where he came from, she called us on the off chance that this dog could possibly be one of our missing pooches. Both Simba and Shiloh had been female dogs, so when she said “boy” we knew it couldn’t be. But my mom, being the dog person she is, couldn’t help but go look. About an hour later, without so much as a phone call to my father to make sure it was okay, she returned home with the most precious, funny, floppy, adorable pup I had ever seen. The farmer couldn’t keep him, so she insisted that if we wanted him he was ours. And from the second I laid eyes on him, I was in puppy love. My brother and I took him for a walk the next day, debating back and forth the perfect name for him. I’m not even sure anymore what the other name options were, because as soon as my brother said it, we knew: This would be our Eddie. Eddie Bear, EdFred, Eduardo, Fredward, Eddos, Duardo, Bear, Edward, Teddy… Whatever you want to call him, this bundle of love would grow to be the light of our lives. He and Molly hit it off famously, and the older, amber-brown dog with this little yellow pup made quite the pair. We knew right away that Eddie was different. He was the kind of dog that would look you right in the eyes with his chocolate brown, dreamy gaze and make you feel like he was looking into your soul. He was always the most tolerant dog in the bunch, no matter where we took him. Little kids playing “pony?” Sure. A body pillow for someone tired? Why not. Nothing fazed Eddie Bear. We never had to train Eddie, either. He came to us knowing how to sit & shake, fully potty-trained, and never a wanderer. We lived in the country so we went for many walks in the woods, and Eddie never strayed too far. His only flaw was that, because of when we found him, he was neutered a little later in life than most dogs. Which means… Eddie never lost his “drive,” we’ll say. But we all learned to laugh at the occasional “episode” Eddie had – just another quirk of his personality. Over the years, this puppy became a dog, and a big dog, at that. To put it in the nicest way possible… Eddie was fat, or “FatWard,” as my brother affectionately calls him sometimes. But he was our snuggle bug, our big bear, and we wouldn’t have him any other way. He watched my brother and I grow up, become teenagers, young adults, graduate high school, college, move out, move home (and move out and home again), get married, and more. And he never lost an ounce of love for us, nor us for him. 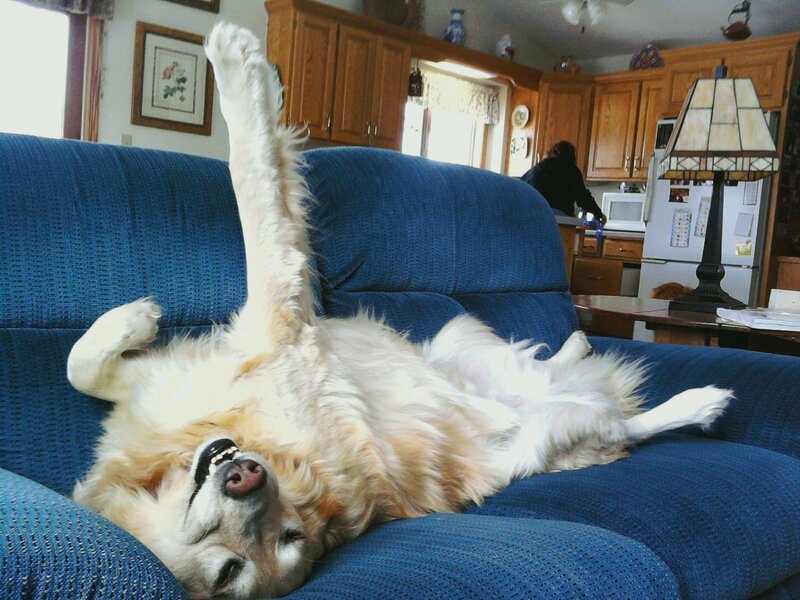 Molly passed in 2013, and Eddie mourned her absence as he became an only dog for a while. We got another dog, Rook, in 2014, who tragically became ill in 2015 and passed away. Eddie was confused at the quick loss of his new friend, and sadly went back to being an only dog. 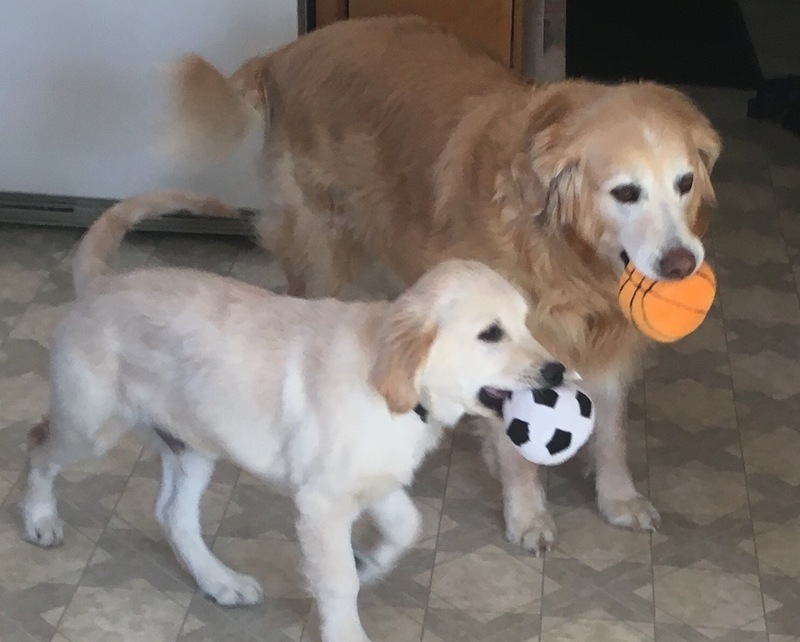 In early 2016, with Eddie at the ripe age of 13 (or 14, we’re not sure), we did something we had never done with Eddie; we got a puppy. A 4-month old Golden Retriever puppy the exact same color as our Eddie Bear. Enter: Louie. Remember, Eddie is 13/14 years old. So for a crazy, active, hilariously uncoordinated and innocently annoying puppy to enter his life 24/7, that’s a big change. Did Eddie bat a beautiful, black eyelash? Not a chance. Eddie instantly took on the role as Louie’s mentor, his teacher, his big-brother, of sorts. He keeps an eye on Louie on walks, always knowing where he is when my mom asked. He lets Louie nibble on his neck skin for hours, always tolerant. He has made the transition for my family into puppy ownership as smooth as possible, and we’re so lucky to have him. We don’t know where Eddie came from, and we don’t know why he chose to come into our lives when he did. They say everything happens for a reason, and maybe that’s true, in this case at least. The fact that such a tragedy like losing our two dogs led us to such a joy as Eddie Bear is one that never ceases to amaze me. And sometimes we wonder if my Grandpa Papa Dad didn’t just call his dogs home with him and send us Eddie in return, knowing how much love and happiness he would bring us. Eddie Bear has had an amazing life, and has given us many amazing memories. Sure, right now he’s extremely chubby, his hair is course and always a little stinky, and he has several masses on his body that make it hard for him to walk. But when I look in his eyes, all I see is the puppy he once was, and the puppy that will always be in my memory. His grey face is not simply a sign of an old dog, but a badge of honor he’s earned over the years through being our playmate, our listening ear, and our snuggle buddy. He has lived an amazing, full, wonderful life, and he has changed ours for the better. When his time comes I know I’ll be very sad, but I’ll also be thankful that we were lucky enough to learn and love with Eddie. Because though his face may be grey, his heart is pure gold.